What is this power red pandas have over us? The Sequoia Park Zoo's little family has us wrapped around their striped tails, running out in the middle of the night with flashlights and bamboo when one of them does a runner. Little runaway Masala is apparently doing well, by the way, in her newly renovated enclosure in Knoxville, Tennessee — no doubt with beefed up security. Meanwhile, Cini (aka The Good One) is still in Eureka, hanging out with her folks, Sumo and Stella Luna. Yield to their awesome, furry power on International Red Panda Day at the zoo on Sunday, Sept. 25 (free admission). The party starts at noon with a coloring contest, panda mask making, feeding times, trivia and a raffle. The zoo keepers will be on hand with talks about the care and feeding of our adorable, masked overlords and the pandas themselves will do some live painting (far less awkward than when humans do it). Proceeds from the festivities go to the Red Panda Network, which sounds a little nefarious, frankly, but serves to protect and preserve the species. Want in? 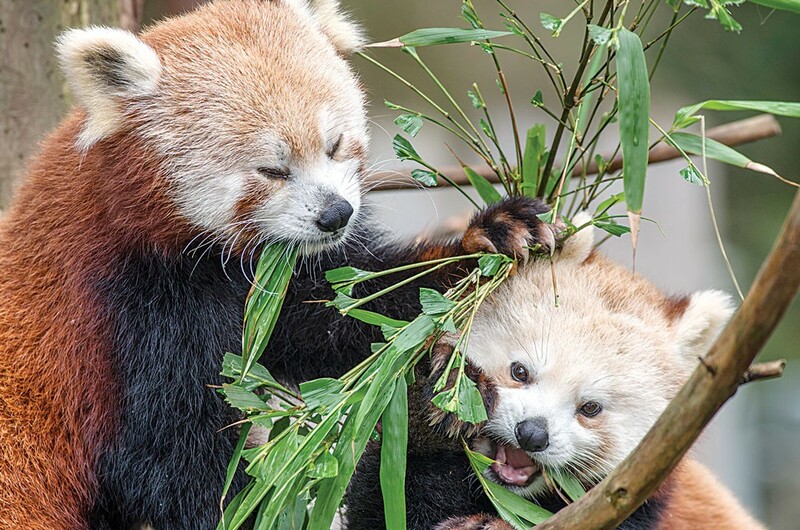 Kids can become Red Panda Rangers, which just sounds like they're amassing an army.